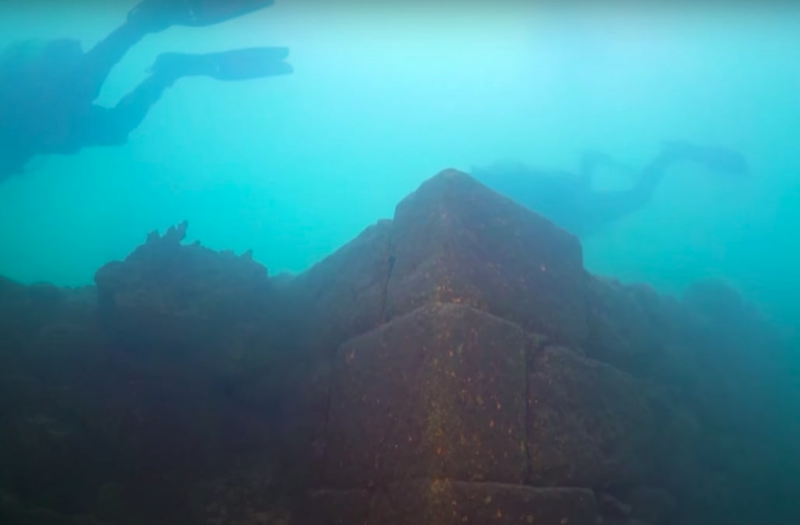 A diving team found the ruins of an ancient fortress in the largest lake in Turkey. They think the castle was part of the Kingdom of Urartu and is about 3,000 years old. The divers were told there was probably nothing hiding under the lake's surface but decided to search anyway. You never know what's lurking under the water until you look. In the depths of Lake Van, the largest lake in Turkey, a group of divers just discovered a lost castle. The underwater fortress is approximately 3,000 years old, according to Turkish publications. Photographer Tahsin Ceylan, who headed up the diving team, and told the Daily Sabah that local rumors suggested ruins could be found beneath the surface of the lake, which located in the far east of the country. But archaeologists and museum officials said there was probably nothing. Ceylan and two divers went ahead (and under) anyway, and what they found is pretty breathtaking. The site of the ruins covers about one square kilometer, with walls that top 10 feet in some places. Since no excavation has occurred, no one knows exactly how far below the lake floor the structures go. The stones used to make the walls would most likely date the ruins to the Urartian civilization, an Iron Age kingdom that was centered around the lake. Over the past few thousand years, Lake Van has reportedly risen several hundred meters. The lake itself covers approximately 1,450 square miles, and is already a tourist destination. But Ceylan told the Hurriyet Daily News that he expects the underwater ruins to draw new visitors, both tourists and archaeologists. "As the lake waters rose, people withdrew but the structures stayed there. Even though most of them are in ruins, they are still there," Ceylan said.